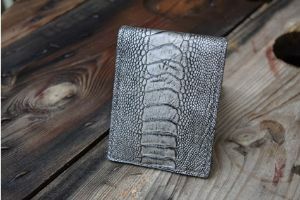 Description: This beautiful heirloom quality wallet has exquisite craftsmanship and character from corner to corner! 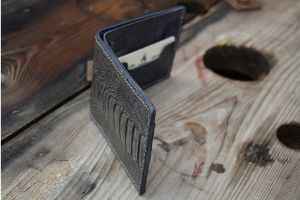 This wallet is hand stitched with waxed and braided thread in the Wilburn Forge workshop. 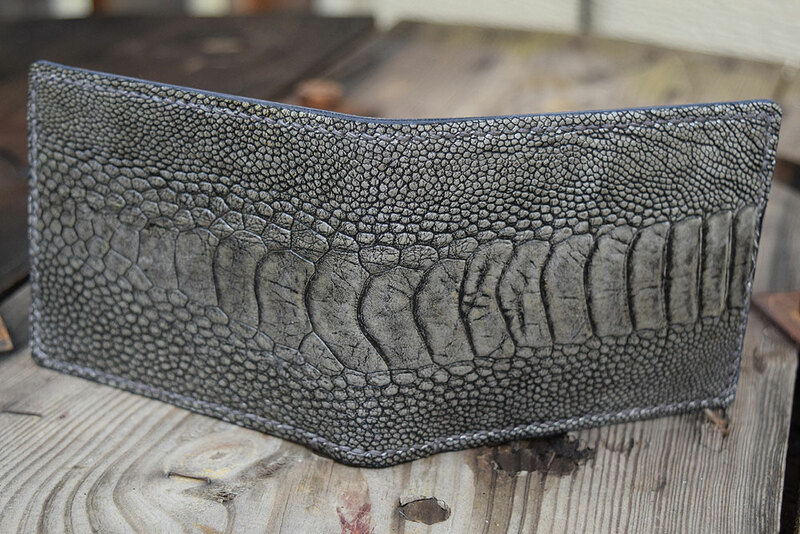 Silver ostrich leg leather and blue dyed kangaroo leather come together for a sturdy, yet elegant appearance. 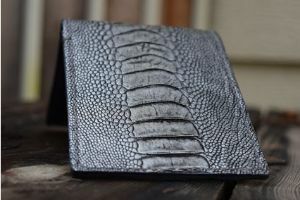 Ostrich leg leather is fairly flexible, making it useful for accessories that have to be able to bend such as a wallet. 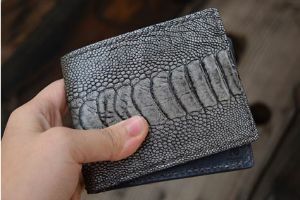 The skin of the ostrich leg is scaly in appearance providing plenty of traction when removing the wallet from a pocket. 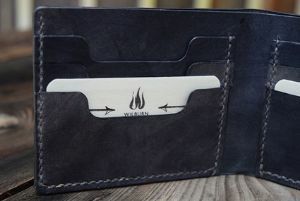 This wallet will make an exceptional wedding gift, graduation boost, a retirement send off, or a well deserved treat for yourself. 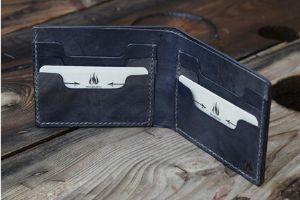 This will truly be the last wallet you will ever need! 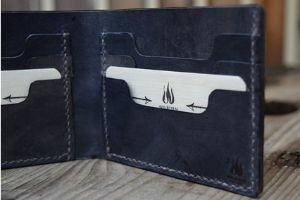 No matter what adventure you find yourself in, this wallet will be there for you! 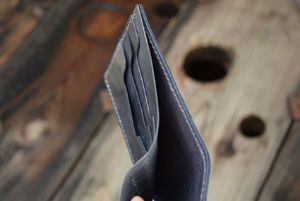 0.21923828125 0.1103515625 219.23828125 110.3515625 Trailer Completed.